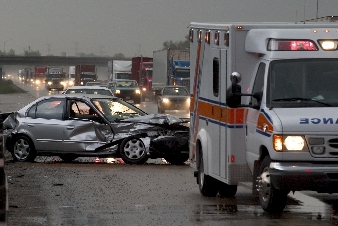 Auto accident injuries cause aches and pains in millions of Americans each year. It’s not uncommon for them to push off their injuries with an “it’ll get better tomorrow” attitude. Not only does this mind-set postpone recovery, but it also hinders any chance of making a full recovery. When a collision occurs, victims are thrown around in such a violent manner that your body requires outside intervention if you want proper healing to take place. At this juncture don’t be fooled with the standardized treatment of traditional medicine. Rather, put your trust in a chiropractor who’ll work to restore your spine and neck to its natural curvature in order to stimulate natural healing. We are passionate about being a chiropractor and wholeheartedly believes that this holistic approach is the absolute best way to recover from an auto accident. He utilizes chiropractic techniques to realign the neck and spine while promoting additional musculoskeletal strength through exercises and stretches. If you’re suffering from auto injury don’t delay and contact Injury Chiropractic Glendale today.